Welcome To All Cinema Lovers. Today We are talking about List Of Hindi Movies 1991. 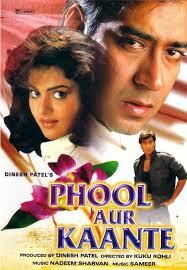 In the year 1991 Bollywood found two new faces which were Ajay Devgn and Raveena Tandon. Interesting Information: This movie is among top 100 all-time classic Hindi films. It was the commercial failure in India But became a huge hit in the overseas market. The movie received 5 Filmfare awards which include Best Film, Best Actress – Sridevi, Best Comic Actor – Anupam Kher, Best Story – Honey Irani, Best Dialogue – Rahi Masoom Raza. Sridevi had done best work of her career. Interesting Information: After 32 years of gap, Bollywood legends Dilip Kumar and Raj Kumar work together in this movie. Before this they worked in 1959 released Paigham. 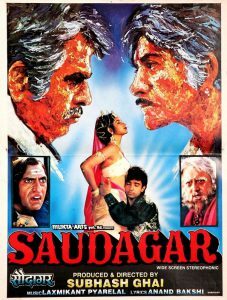 “Saudagar” is a real treat for cinema lovers to watch these most versatile actors. The movie became the third highest grossing movie of the year and emerged as a silver jubilee hit on box office. 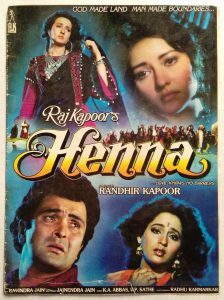 The film won 2 Filmfare awards for Best Director – Subhash Ghai and Best Editing. 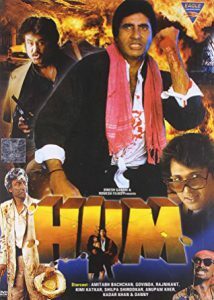 Interesting Information: Legendary actor Amitabh Bachchan won the Filmfare Best Actor Award for this film. This was the second highest grossing Bollywood movie of the year 1991. The movie also won the Filmfare awards for Best Choreography and Best Art Direction. 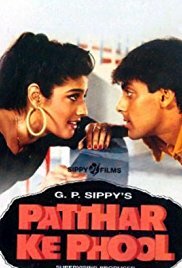 Interesting Information: This was the highest grossing Bollywood movie of the year 1991. “Saajan” is among the top 50 musical hits of Bollywood. Songs became hugely popular. 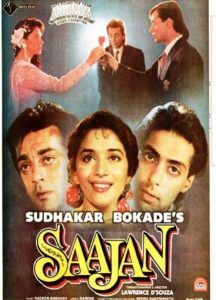 Sanjay Dutt, Madhuri Dixit and Salman Khan delivered remarkable performances. 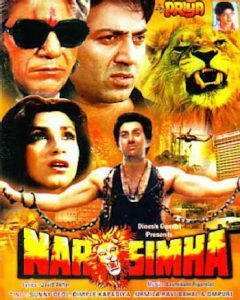 The movie won 2 Filmfare awards which include Best Best Music Director – Nadeem-Shravan, Best Male Playback Singer – Kumar Sanu. Interesting Information: This was the debut film for the superstar Ajay Devgn. People praised his action scenes a lot. Ajay Devgn won the Filmfare Best Male Debut for this movie. Interesting Information: This is a complete villain driven movie. Sadashiv Amrapurkar played a memorable character in the villain’s role and won the Filmfare Best Villain for it. 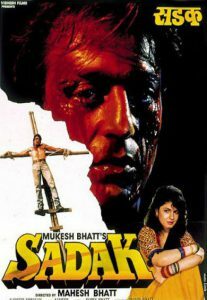 Sadak was the 5th highest grossing movie of the year 1991 with the collection of 6 crores approx on Box Office. Interesting Information: Officially this is the last movie of bollywood showman Raj Kapoor. The movie was a big hit on box office and critically acclaimed by viewers. Farida Jalal won the Filmfare best supporting actress award for this movie. This was India’s official entry for Academy Awards. Interesting Information: When nobody expecting such level of success this movie became surprisingly super hit on box office and collected 5.75 Crores approx. Veteran actors Danny Denzongpa and Pran done a fabulous job. Danny won Filmfare best supporting actor award. Interesting Information: This is another musical hit by Nadim-Shravan duo. Anuradha Paudwal won the Filmfare Best Playback Singer, Female awards. It is one of the highest grossing Bollywood movies of the year 1991. Interesting Information: Bollywood found in Raveena Tandon. This was the debut film for her. 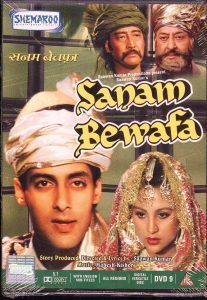 Salman khan deliver 3 back to back hits in 1991 including this movie. Interesting Information: Om Puri did a fantastic work in the role of Bapji Villain. This was the 2nd movie of the Actress Urmila Matondkar and 1st hit movie of her career.